And I'm Steve Ember with PEOPLE IN AMERICA in VOA Special English. Today we tell about a man who made possible one of the most important communications devices ever created -- television. His name was Philo Farnsworth. In nineteen sixty-nine, American astronaut Neil Armstrong climbed down the side of the space vehicle that had taken him to the moon. As his foot touched the surface of the moon, pictures of the event were sent back to televisions on Earth. The pictures were not very good. It was hard to see astronaut Armstrong clearly. The surface of the moon was extremely bright. And the moon lander vehicle created a very dark, black shadow. But the quality of the television pictures was not important. Every man, woman and child who saw the television pictures understood they were watching an important event. They were watching history take place as it was happening many hundreds of thousands of kilometers away. For a few minutes, the poor quality television pictures captured the imagination of millions of people throughout the world. Experts believe about six hundred million people around the world watched as Neil Armstrong stepped from the space vehicle to the surface of the moon. In the years since then, people around the world have shared in many events. Television has made it possible for people in distant places to share a single experience. A television system changes light and sound waves from a moving picture into electronic signals that travel through the air. The signals are changed back into sound and pictures in a television receiver. Scientists in Britain, Germany, France, Japan, the former Soviet Union and the United States all made important discoveries that led to the development of modern television. Yet it was a young boy living on an American farm who was the first person to invent and design what became television. He first thought of the idea of an electronic television when he was only fourteen years old. His name was Philo Taylor Farnsworth. Philo Farnsworth was born on August nineteenth, nineteen-oh-six, near Indian Creek in the western state of Utah. The house he lived in for the first few years of his life had no electric power. But Philo read about electricity. He was very excited when his family moved to a new house in Idaho that had electric power. He quickly began to experiment with electricity. He built an electric motor when he was twelve. Then he built the first electric washing machine for clothes that his family had ever owned. Philo Farnsworth attended a very small school near his family's farm. He did very well in school. He asked his teacher for special help in science. The teacher began helping Philo learn a great deal more than most young students could understand. One night, Philo read a magazine story about the idea of sending pictures and sound through the air. Anyone with a device that could receive this electronic information could watch the pictures. The magazine story said some of the world's best scientists were working on the idea. It said these scientists were using special machines to try to make a kind of device to send pictures. The story made Philo think. Fourteen-year-old Philo decided these famous scientists were wrong. He decided that mechanical devices would never work. They could never be made to move fast enough to clearly capture and reproduce an electronic picture sent through the air. 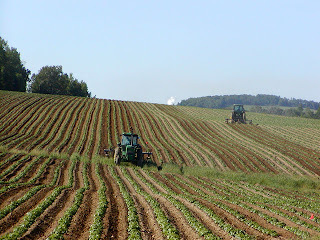 from potato field in Idaho at age 14. Philo decided that such a device would have to be electronic, not mechanical. Philo knew electrons could be made to move extremely fast. All he would have to do was find a way to make electrons do the work. Very quickly Philo had an idea for such a receiver. It would trap light in a container and send the light on a line of electrons. Philo called it "light in a bottle." Several days later, Philo told his teacher about a device that could capture pictures. He drew a plan for it that he gave his teacher. Philo's drawing seems very simple. But it still clearly shows the information needed to build a television. In fact, all television equipment today still uses Philo's early idea. Philo's teacher was Justin Tolman. Many years later Philo would say Mister Tolman guided his imagination and opened the doors of science for him. Philo Farnsworth had to solve several problems before he could produce a working television system. One was that he was only fourteen years old. He knew no one would listen to a child. In fact, experts say that probably only ten scientists in the world at that time could have understood his idea. Philo also had no money to develop his ideas. His idea for a working television would have to wait. After only two years of high school, Philo entered Brigham Young University in Utah. But he did not finish his education. He was forced to leave school when his father died. 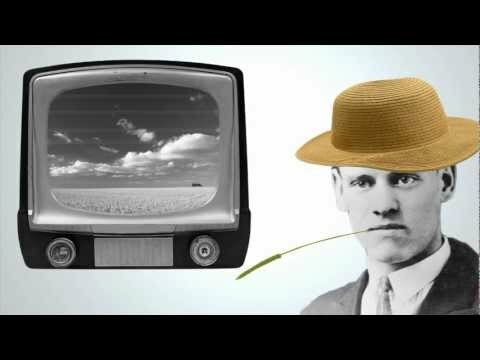 Philo did not give up his idea for creating a television. He began serious work on it when he moved to San Francisco, California a few years later. He was twenty-one years old. On September seventh, nineteen twenty-seven, Philo turned on a device that was the first working television receiver. In another room was the first television camera. Philo had invented the special camera tube earlier that year. The image produced on the receiver was not very clear, but the device worked. Within a few months, Philo Farnsworth had found several people who wanted to invest money in his invention. In August, nineteen thirty, the United States government gave Philo patent documents. These would protect his invention from being copied by others. Very soon, however, several other inventors claimed they had invented a television device. One of these inventors, Vladimir Zworykin, worked for the powerful Radio Corporation of America. The RCA company began legal action against Philo Farnsworth. It said Mister Zworykin had invented his device in the nineteen twenties. The big and powerful RCA claimed that it, not the small Philo Farnsworth Television Company, had the right to produce, develop and market television. The legal action between RCA and the Farnsworth company continued for several years. RCA proved that Mister Zworykin did make a mechanical television device. But it could not demonstrate that the device worked. At the same time, RCA claimed that Mister Farnsworth had produced his television image tube after Mister Zworykin had developed his. When Mister Farnsworth said he had developed the idea much earlier, RCA said it was impossible for a fourteen-year-old boy to produce the idea for a television device. Company representatives said Mister Farnsworth was not even a scientist. He had never finished college. 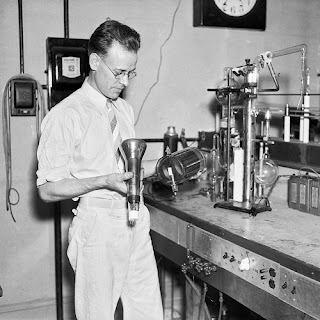 RCA said Philo Farnsworth should be forced to prove he had invented the television image tube. Philo could not prove he invented it. But his high school teacher could. In court, Justin Tolman produced the drawing that Philo had made for him many years before as a student. At that moment, the legal experts for RCA knew they had lost. 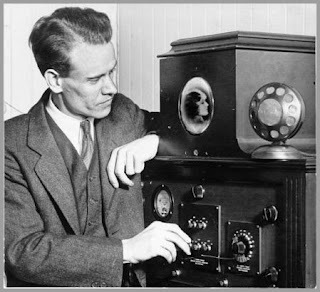 Philo Farnsworth won the legal action and the right to own the invention of television. However, he did not have the money or support to build a television industry. It was the nineteen fifties before television became a major force in American life. Vladimir Zworykin and David Sarnoff, the head of RCA, became the names connected with the new industry. 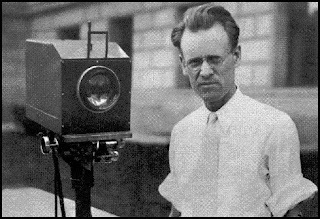 Philo Farnsworth continued to invent more than one hundred devices that helped make modern television possible. He also developed early radar, invented the first electronic microscope, and worked on developing peaceful uses of atomic energy. In his last years, Mister Farnsworth became a strong critic of television. He did not like most of the programs shown on television. Yet, as he watched Neil Armstrong's first step on the moon, Mister Farnsworth knew the event clearly showed the power of his invention. 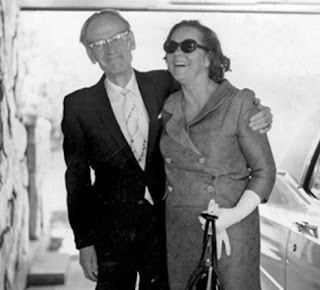 Philo Farnsworth died in March, nineteen seventy-one. Today, a statue of him stands in the United States Capitol. He is considered one of the most important inventors of the twentieth century. This program was written by Paul Thompson. It was produced by Lawan Davis. I'm Phoebe Zimmermann. And I'm Steve Ember. Listen again next week for PEOPLE IN AMERICA in VOA Special English. 1. Philo Farnsworth realized that, because mechanical devices _________________, they could not send pictures through the air. 2. When Philo was 21 years old, he moved to ______________ and began serious work on the creation of the television. 3. The first person to invent and design what was to become the television was ____________________ . 4. A television receiver changes _________________ into sound and pictures. 6. Philo Farnsworth's main obstacle in developing the television was lack of __________________. 7. Philo Farnsworth was interested in electricity ____________ he lived in a house that had electric power. 9. RCA brought a legal action against Philo Farnsworth claiming that ________________ was the real inventor of the television. 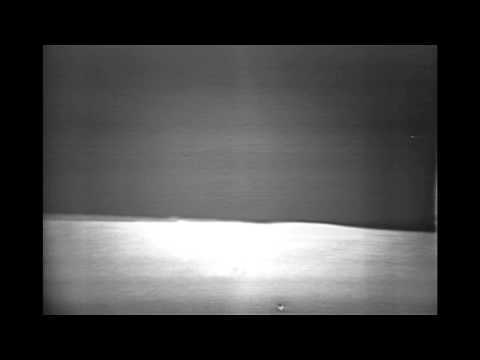 Neil Armstrong lands on the moon on television.